OK, It might be mid February, but we are in California, it's warming up already, and I think it's the early days of spring! The one in Sacramento is OK, but the one to go to is at Fort Mason in San Francisco. There's probably at least four times as many chocolatiers there. This one is for my offal followers as Rocky Mountain oysters are also known as bull testicles. Not for everyone! I've been meaning to go for years and this time I'm actually going as a judge! 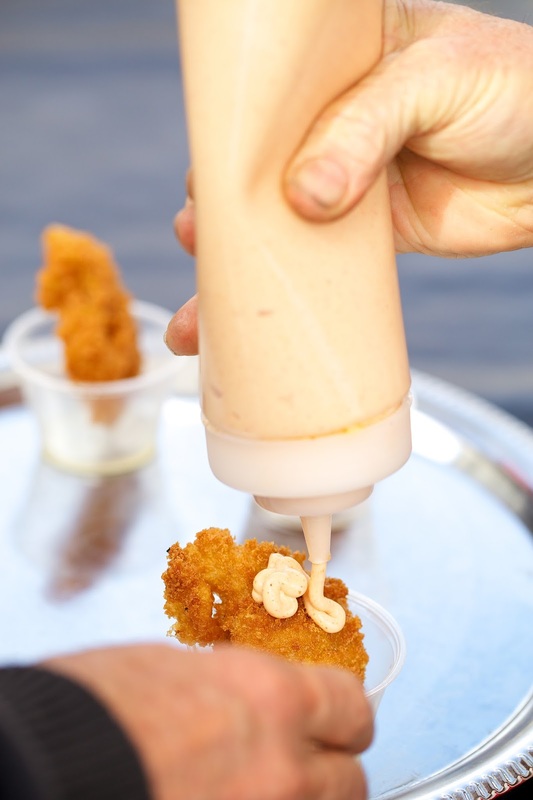 More than 20 cooks from around the region compete in the event, serving up fried, chopped, grilled or sautéed steer testicles for a variety of flavorful combinations. Hope I like them! Tasting tickets start at $5 for three samples or 10 samples for $12. Advance tasting tickets are available online. 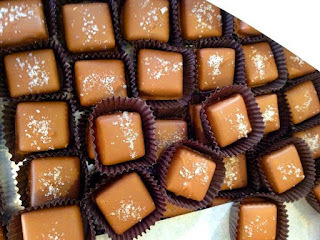 The event will be a chocolate experience that brings together community, local flavors and unique chocolate tastings. The sweetest part? A portion of the profits will be donated to the Boys & Girls Clubs of Manteca and Lathrop. The Ghirardelli Chocolate Jubilee will feature fresh chocolate samples from local businesses as well asGhirardelli ice cream eating contests, Ghirardelli Chocolate School, vibrant music and dance from local artists, and a children’s play area. I am hoping to go to cover our Sacramento chefs as they again represent our Farm-to-Fork Capital. 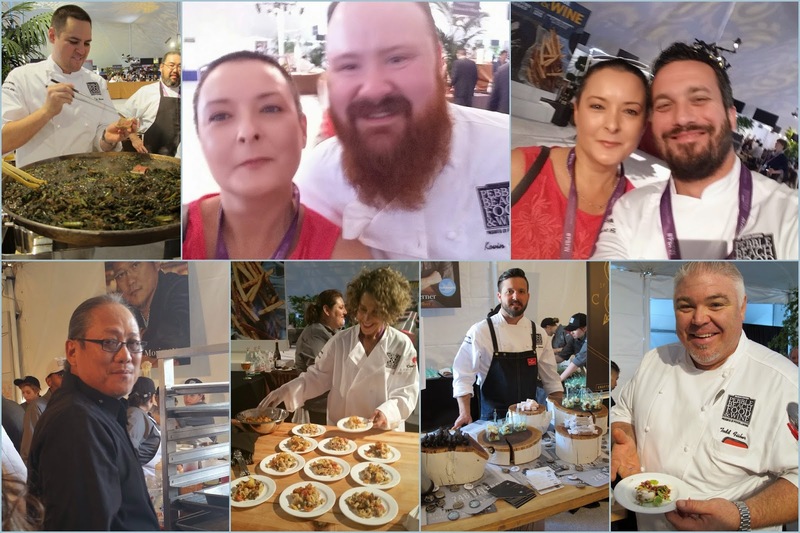 This year it is Kelly McCown from The Kitchen/OBO, Bill Ngo from Kru, Oliver Ridgeway from Grange, Michael Thiemann and Matt Masera from Empress, Ramon Perez from Puur Chocolates, and Joseph Vaccaro from Selland Family Restaurants. I also love seeing and tasting food from the famous chefs that we all watch on Top Chef and other cooking shows. It's our 5th year! This year we have another lineup of great films and events all supporting The Food Literacy Center and their efforts to build an education center. Food Literacy Center and Selland’s Market Cafe present a family movie night and dinner. This will be an event the whole family will enjoy! In partnership with America’s Farm-to-Fork Capital and the Sacramento Public Library, we will host a screening of Open Sesame, a thought-provoking documentary about the importance and impact of saving heirloom and open-pollination seeds on our health, environment and economy. Following the film, a panel of local experts will discuss how we can do our part locally! Join us at Lucca Restaurant & Bar for a night of culinary genius while enjoying the 2015 film Burnt starring Bradley Cooper. This event sells out quickly! Join us for a culinary journey to Scandinavia! Enjoy the film Noma: My Perfect Storm – a film about the world famous gastronomic restaurant in Denmark & a five course meal created by James Beard award-winning chef Hank Shaw and local Scandinavian food expert Karen Holmes of Karen’s Bakery Cafe! Kampai! Join us on a trip through Northern Japan as we watch The Birth of Sake – an award-winning film about the 2,000 year old tradition of brewing sake. Enjoy a taste of sake with Japanese food prepared by Billy Ngo of Kru Contemporary Japanese Cuisine and Taka Watanabe of Ju Hachi & dessert prepared by Ramon Perez of Puur Chocolat. As the finale of the 2016 Sacramento Food Film Festival, Cooking up a Tribute will not disappoint. Join us for a culinary tour of Mexico, Colombia and Peru while watching Cooking up a Tribute, a film that documents the journey of one of the World’s Best Restaurants’ as they close their doors for five weeks to tour the world with the entire staff, and design 57 new dishes paying tribute to local food traditions and ingredients and the power of global food culture.